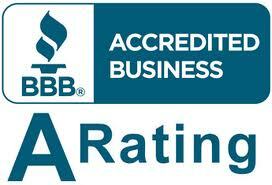 Do You Need the Best Air Conditioning Repair Arcadia Has to Offer? California is temperate all year round, and for many homeowners, this means having to run an AC unit almost daily throughout the year. During the cooler months, this is not quite so important, but in the summer, going without an air conditioning unit will be completely unthinkable. If you have been having a problem with your air conditioner, and don’t think that you can handle this issue by yourself, then you will need to call in an Air condition repair team to your North Hollywood home. 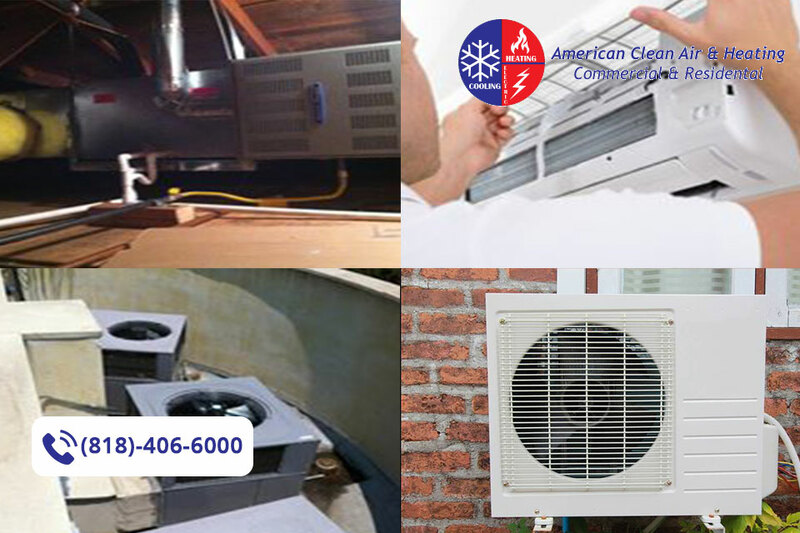 They can help you to resolve a number of issues, restoring your AC unit to full function. Is It Worth Trying DIY? When you need help with your air conditioning, it is better to call in a team of professionals who can help you to get the system working correctly as quickly as possible. 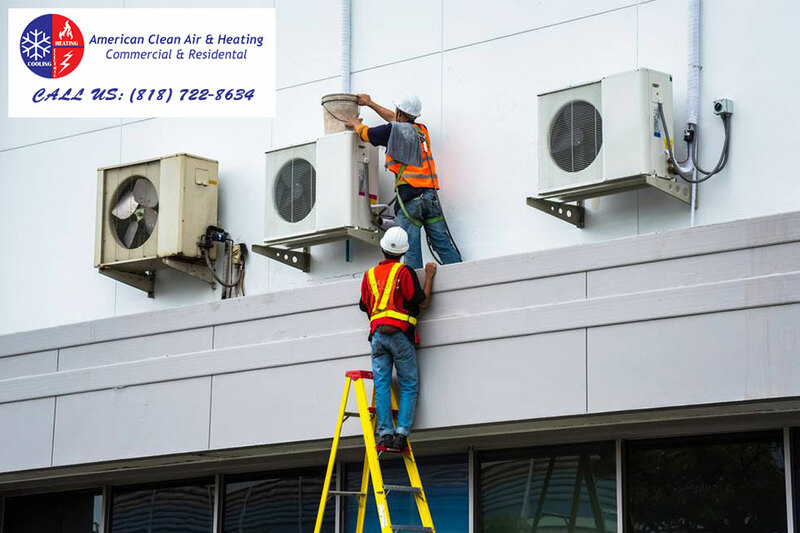 There are several ways in which the AC unit could have failed, and so it is important to hire professionals who can understand exactly what the problem might be. Only with their help, you get the unit working again, and make sure that it can keep you cool during the summer months. 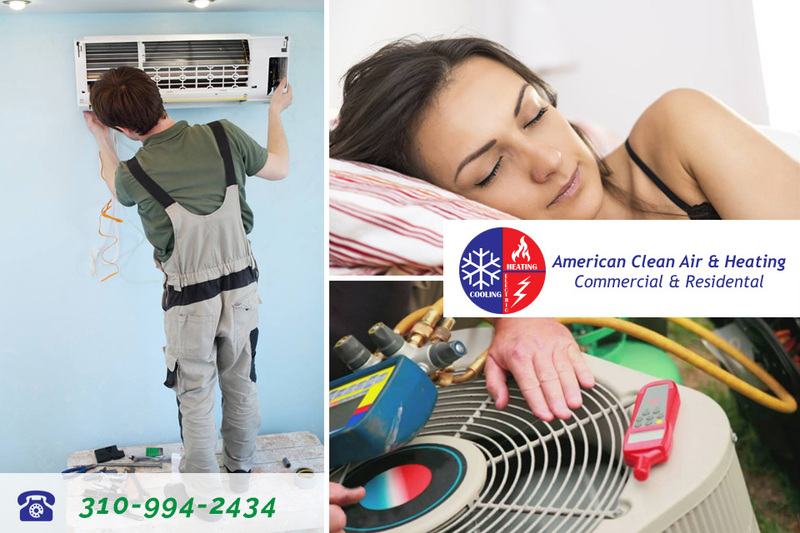 If you want to find a professional Air condition repair team to help your North Hollywood home stay cool, then you need to speak to American Cool and Heat today. 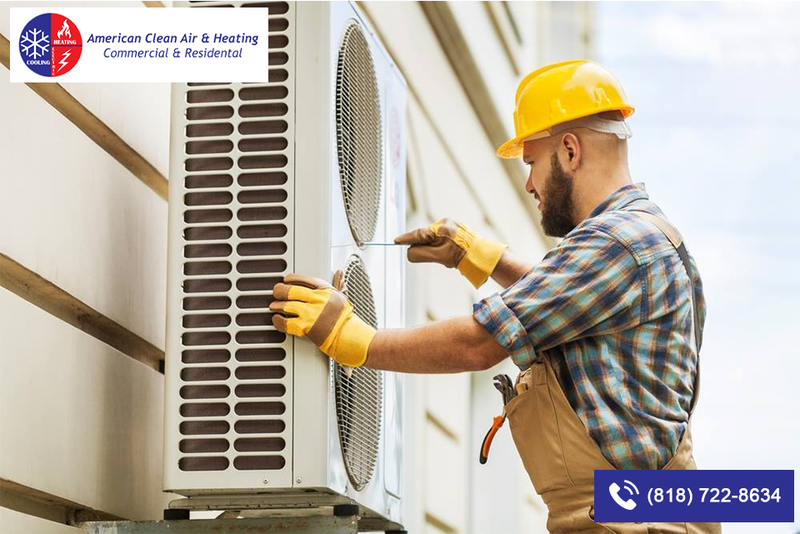 We can help you to make sure that your unit is properly fixed, and we can also conduct annual services which will ensure that the air conditioner does not break down in the future. We can even help you to replace your system when the time comes. Get started with us today by calling818-406-6000 or by contacting us online now. Many people often overlook just how important their central air and heating system is to their homes. You might assume that everything is working well throughout the year because you get the cool air or heat when you need it. However, without proper maintenance to your system, over time your system can degrade in several ways. The problems may not be immediately evident to you, but small signs will exist that can warn you about bigger problems that could come without care. 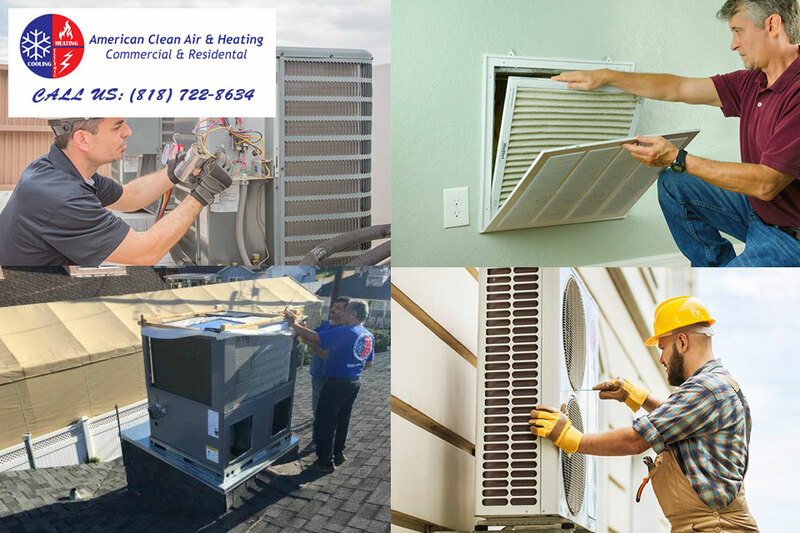 It is important for you to get proper maintenance from an air conditioning and heating company in Encino like ours at American Clean Air and Heating to help keep your system at its best. Even just getting basic maintenance performed like having the filters checked and changed can help make a big difference to your system. The filters are designed to help keep dust, dirt, and debris from circulating through the system. When the filters are not changed or cleaned at regular intervals, they will become dirty and ineffective. A clogged filter will restrict the airflow to your system, making your system have to work much harder than it should for your home. Failure to do anything about it could lead to larger mechanical failures of your system. Another important component of regular maintenance from an air conditioning and heating company in Encino is to check your condenser coil. While the filters work to keep debris away from the condenser coil, if your system is not maintained properly it can be easy for the coil to get dirty, preventing it from doing its job of absorbing the heat of your system. A check of the coil can help to keep it clean and free of debris so it continues to work properly for you. 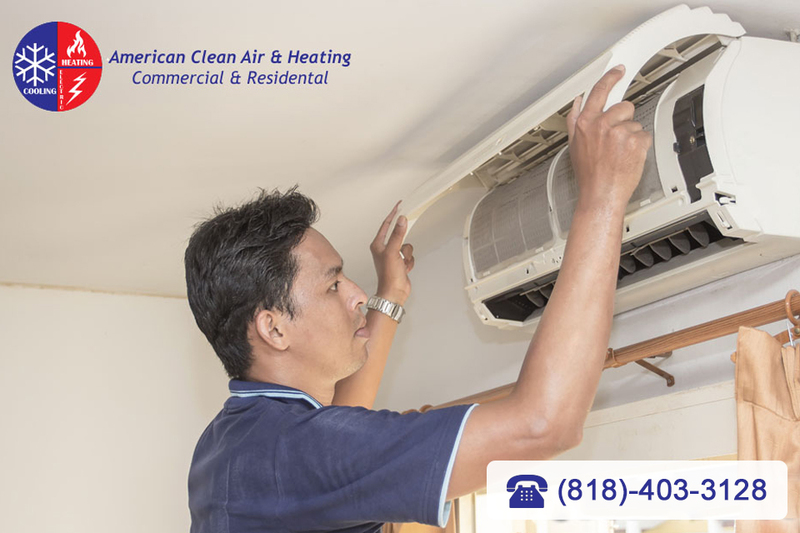 If you need an air conditioning and heating company in Encino to perform maintenance on your central system for you, make sure to contact us here at American Clean Air and Heating. 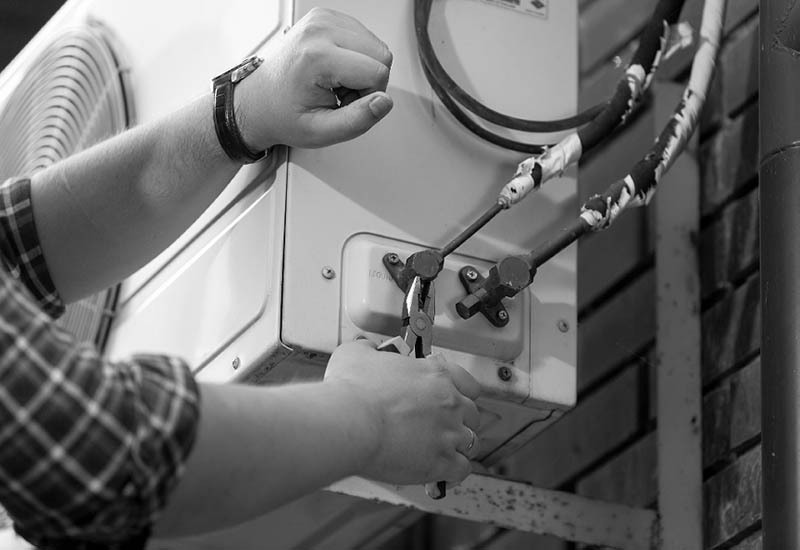 We are the reliable and affordable experts in the area that can provide you with the service, maintenance, and repairs you may need for your system. 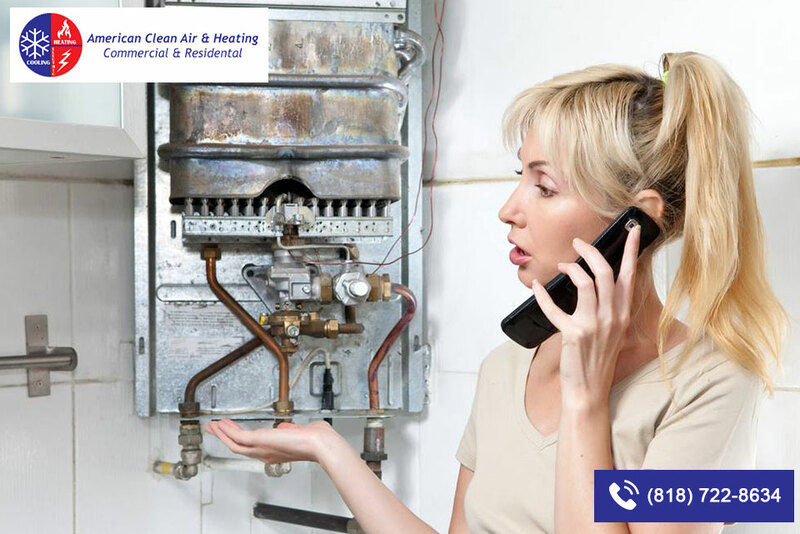 You can contact us to arrange a service call by calling our office at 818-406-6000. We can schedule an appointment for you so you can make sure your system is cleaned and at its best all year long. Your central air conditioning plays an important role in the comfort of your home each day, and you want to do all you can to make sure it keeps working well for you and your family. While the lifespan of systems like this should be for several years, proper maintenance of your system regularly can help extend the life even more so you get more from your investment. Having a system like this is not cheap, so keeping it at its best can save you a great deal over the course of the years. Getting proper Long Beach air conditioner service will increase the efficiency of your system and keep it performing well. Getting regular cleaning of your system can go a long way in keeping the system running well. Filters will naturally pick up dirt and debris over time as they filter everything out to keep the air circulating in your home as clean as possible. However, if you do not regularly clean or change the filters in your system, the clogs can work to slow the system down and impede air flow. This will bring less cool air into your home and make the system work harder than it needs to, leading to potential problems and breakdowns. Cleaning can help prevent this from happening. Long Beach air conditioner service can bring the regular maintenance your system needs to help keep it running properly. Regular maintenance such as getting the thermostat checked, checking belts and hoses, and getting the system checked for performance can help detect any small problems that may exist. Catching these problems early on and repairing them helps keep the system running well and prevents serious problems with your system that could lead to big repairs or the need for replacement. 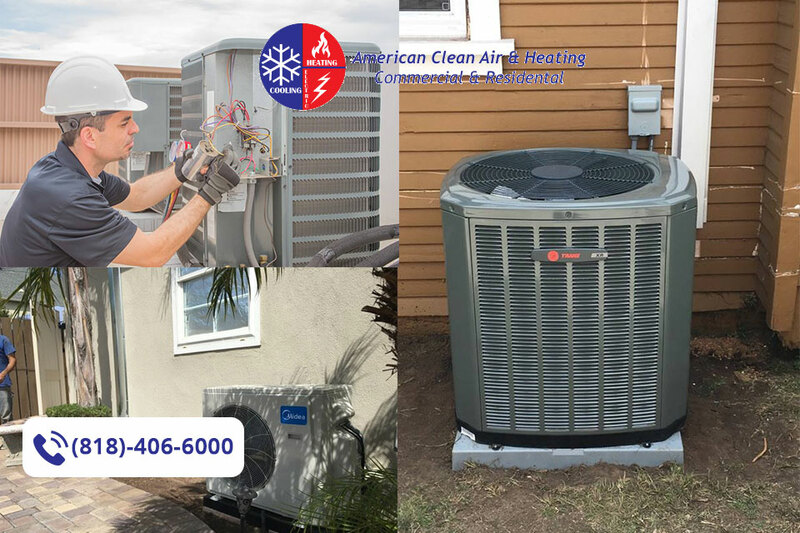 If you need to contact a Long Beach air conditioner service to check your system for you, please give us a call here at American Clean Air and Heating so we can help you. We are an expert heating and cooling service company and can help provide you with the maintenance you need to keep your system at its best. You can call us at 818-406-6000 to schedule a service call so we can look at your air conditioning and perform any work that you require.